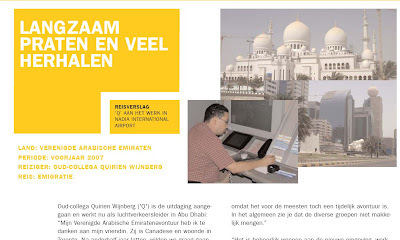 My old work in The Netherlands, LVNL, interviewed me about my move to a new country and job. They published the result in their monthly magazine distributed among their employees. Goed zo Q.: werken aan die publiciteit. Op weg naar beroemdheid!